In 1961, the Gronchi Rosa or Lilac stamps were issued by the Italian Post. It is one of the modern-day highly sought after iconic variety of stamps in the Italian region. These stamps were named after the elected President of the Republic, Giovanni Gronchi, in 1955. He was the first Catholic politician to become the head of the Italian state. These stamps are rare due to their design error. They were issued to commemorate the voyage of the President to three South American countries. There were three sets of stamps issued to mark the three destinations with different colour and denomination like 170, 185 and 205 Lire. 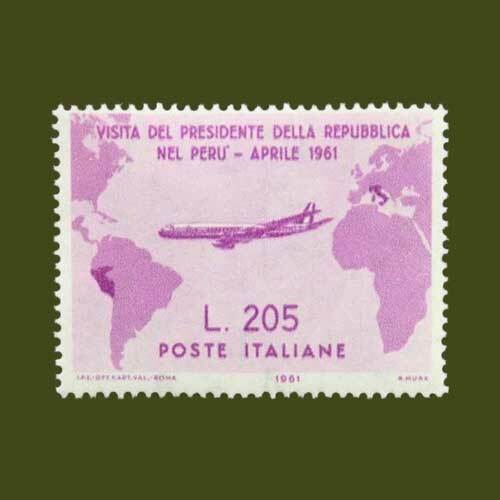 The Gronchi Rosa stamps became well known because the Peru boundaries were mis-drawn by the designer on the 205L stamp. Therefore, the 205L stamp was withdrawn from the circulation. It was replaced by the grey coloured stamp rather than pink with the corrected border. This border error made the Gronchi Rosa stamp a rare specimen for the collectors. One of these specimens is worth nearly for 31,171 dollars.